Care Clowning is when we visit living facilities, such as complex care, extended care, or assisted living centres. 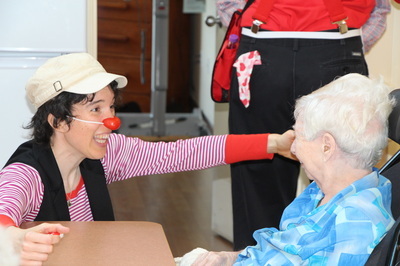 On these visits, the clowns come not just to entertain, but to amuse, to stimulate, and to bring smiles to residents. Many are suffering from chronic illnesses or dementia, and they enjoy the lift they receive when the clowns arrive. Clowns are interesting and fun with their odd games and activities which engage and involve the residents in activity. "With their focus on the imaginative and the creative, therapeutic clowns offer new opportunities for play and laughter, for self-expression and self-acceptance, for mastery and empowerment, and for moments of tenderness and comfort. 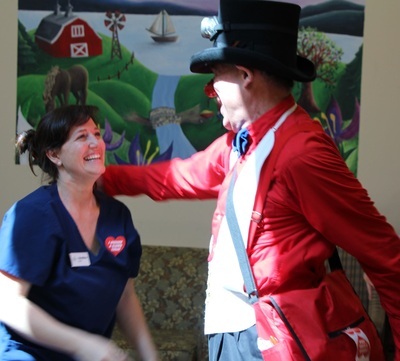 We believe that these interactions have an impact on everyone's experiences and perceptions, and thus help to humanize the health care setting. Not only do we visit with the residents, we also include family members and staff to honor their commitment, dedication and love. 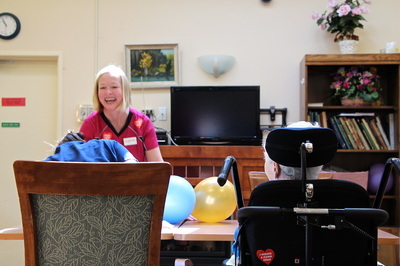 Currently, we visit residents at the Beacon Hill Villa in Victoria, BC and Rest Haven Lodge and Sidney All Care Residence in Sidney, BC. 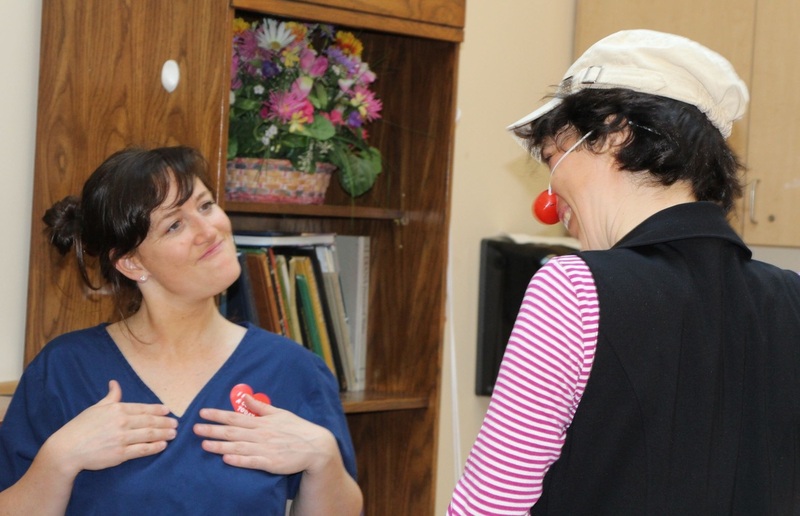 Our visits are greatly helped by the amazing and supportive staff of these facilities. We always visit in pairs of two clowns, plus one non-clown handler. 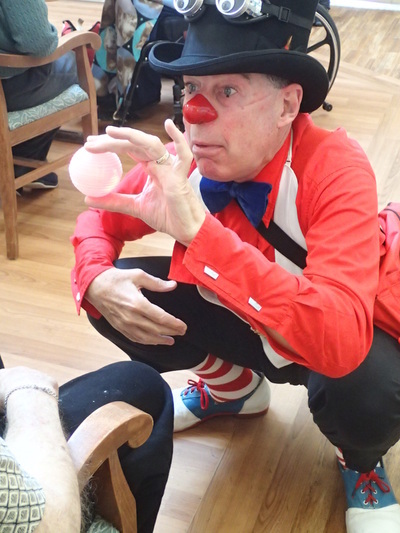 As part of our care clown training the new clowns will be accompanied by one of the senior clowns during their first year. 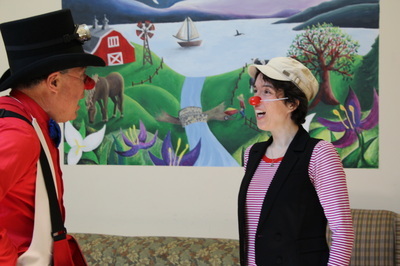 The following pictures show Cahoots during her first visit together with her clown partner Stretch. 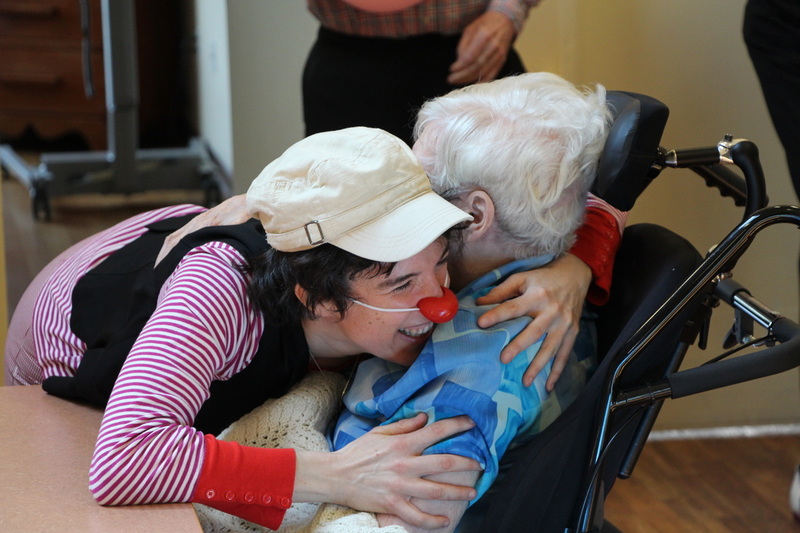 Our plans include adding more such settings to our visitation list in the near future. 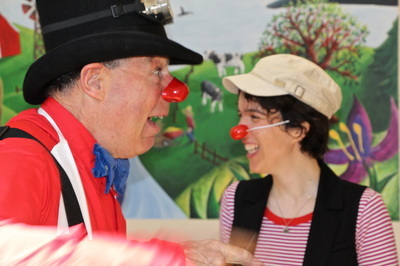 Please, contact us if you are interested in bringing The Sunshine Clowns into your facility! 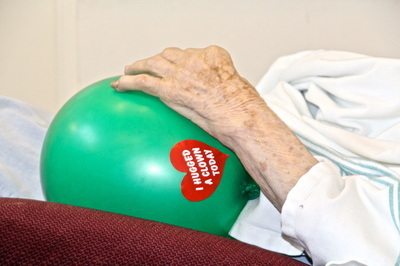 The slide show below is from previous care clown visits to Beacon Hill Villa. Featured is the "clowning" of Linda Hanford, former Executive Director of Beacon Hill Villa. 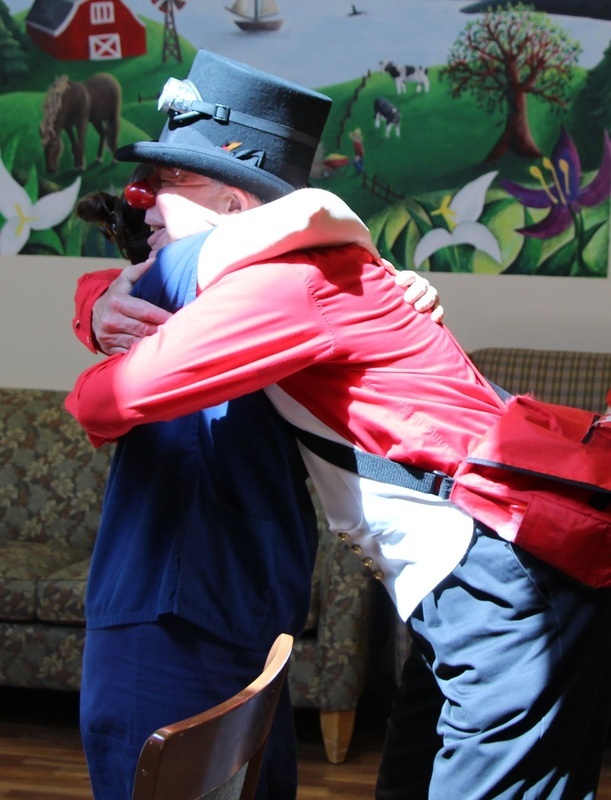 Other photos are typical clown visits to rooms and in common areas. 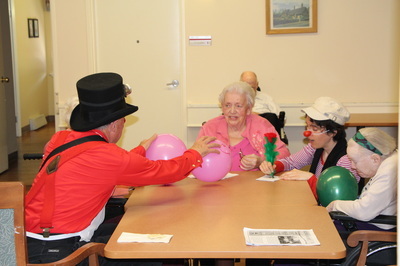 Shown here are Goldie Ray, Ruby-Dooby, Bungle and Stretch.